No matter where you live, criminal activities will always be a big possibility. Thereby, it is very essential to ensure that your home or business remains as safe as possible as well as your whole family and loved ones. The best home surveillance system can provide a number of features that could serve to help in ensuring the safety, security and tranquility. The best surveillance system needs to have the capacity to monitor the entire surrounding environment to guarantee topnotch security. 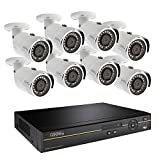 Such systems make use of electronic units, particularly online video cameras and alarm systems which are typically connected to a recording device. All home and business owners need to have some form of video surveillance system to make sure that their residence or business is protected in the most feasible way possible. 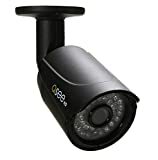 Q-see offers a number of industry leading security camera systems. Who are Q-See Security Camera Systems Designed For? You can look forward to get only the best when you have the Q-See HD IP system. 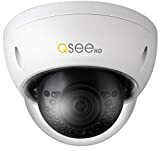 Q-see offers a variety of high definition cameras, including dome and bullet IP cameras with an amazing 4 megapixel image sensor for crystal clear images. With the higher number of pixels, every image is made clearer and larger for detail beyond the usual 1080p resolution. This makes Q-see systems ideal for customers who may need to zoom or enhance footage after recording. In order to get a more professional and expert security experience, the system’s array of built in features which can automatically adjust the images for improved clarity. The Digital Noise Reduction and backlight compensation guarantees that the images will look as clear as possible no matter what the lighting conditions might be in the surrounding. 1/3” image sensor, a 2.8mm fixed lens, 4MP of resolution as well as an IR range of 65 to as much as 10 feet. In addition, the cameras come with a weather resistant housing and can also runs on an Ethernet power (Q-see has PoE camera systems). Every 4 MP camera comes encased within a sturdy and solid all-metal housing that makes it ideal even for outdoor use in almost all weather conditions in the same way that it is perfect for indoors. 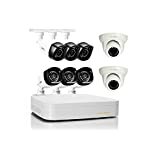 The Q-See HD IP system surveillance kit comes with a professional level NVR that features real-time playback and recording, 1080p HDMI video output, H.264 compression storage as well as the capacity. It’s important to note the difference between NVR vs DVR camera systems when it comes to installation, maintenance, and total cost. Compared to other brands, Q-See actually has very cost-effective NVR systems, which we think is a fantastic selling point. 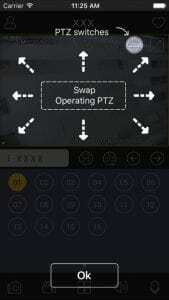 Using Q-see’s QT View smartphone apps for Android and iOS, you can monitor the video feeds live at all times. Also, the NVR features a built in 16 port point of entry switch and there is also a pre-installed 4 terabyte hard drive ideal for days of record times. You can also set up alerts if any motion was detected outside of your business or home. It’s great if you don’t have time sitting around and checking a mobile footage from a video system. Access your records from your mobile phone. Live stream your camera feed from anywhere. 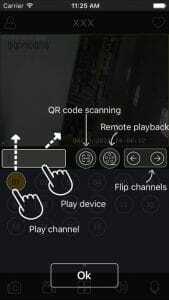 Control your camera from your phone. Q-see systems come ready to install with everything you need. This includes bundles of Ethernet cabling, power cabling, pre-formatted hard drives, and pre-installed software. 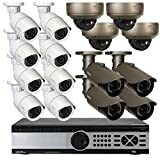 The security camera systems comes with a detailed, start guide, providing you easy setup process enabling you to have it set up and installed at the soonest time possible. Peace of Mind - Anywhere, Anytime. H.264+ video compression - offers reduced File sizes up to 30%, optimized video and bandwidth reduction. Save on data, record more video! 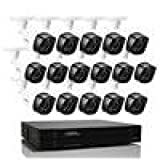 Includes 16 High-Resolution HD Cameras with 720p HD quality viewing. Stream Live Video Directly to a remote MAC or PC, iPhone, iPad, or Android. 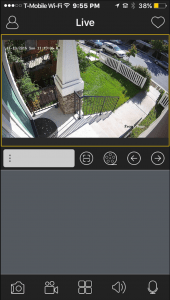 Receive email alerts upon motion detection. 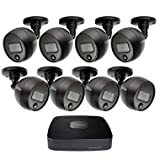 Includes a total of 16 High-Resolution HD IP 4MP/1080P Weatherproof Cameras. Out of which 4 are Varifocal . Each Bullet camera provides up to 100ft. of night vision with the varifocal providing 165 ft., and the domes 80ft. 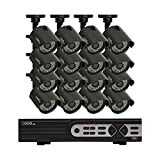 Compatible with Q-See's QC series BNC HD DVR's. PLEASE review the below compatibility chart prior to purchase. With IP67 rating makes these cameras perfect for indoor or outdoor use. 3-axis mounting point and durable housing prevents vandalism and impacts from the elements. Supports Q-See Series QC IP NVR's that are compatible with QCN HD IP Cameras. 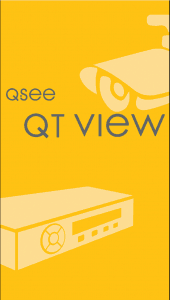 Supports Q-See QT Series Products, and QTN HD IP Cameras. Question: Does it record audio? Is the internal hard drive loud? Answer: It does not record audio. The DVR is extremely peaceful, yet once you go lose to it, you will hear the hard drive running. Question: Do majority of individuals record all the time or only when there’s motion? Answer: Only when there’s motion. Question: Are the cameras 3mp or 4mp? Answer: The cameras are 1080p. We love Q-See as a company. 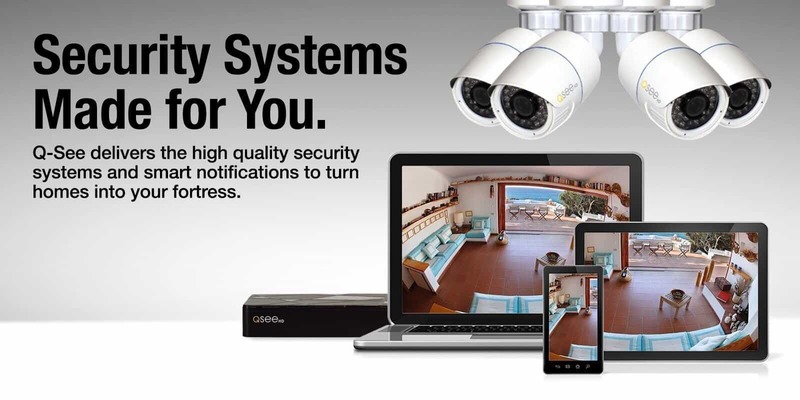 They make high-quality products, and when compared to other companies like GW Security Cameras, Q-See has cost-effective options for larger camera systems.